The rugged, versatile SportHunter® 825 maximizes all of the advanced, industry-leading technology that SportDOG® has ever built into its e-collars. The system provides long-range capability up to 1/2 mile, making it well-suited for long-distance control of retrievers and big-running pointing dogs. Switch instantly between stimulation, vibration, and tone to fit the correction or communication to your dog’s temperament and learning ability. 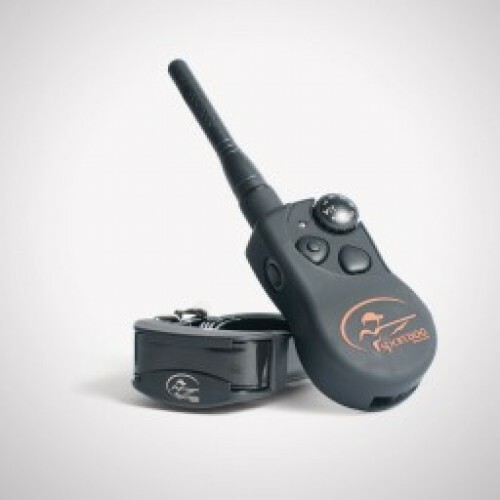 The SD-825 can be easily expanded to control up to 3 dogs by adding SportDOG Add-A-Dog® collars.